(P1) This news is from Tokyo. 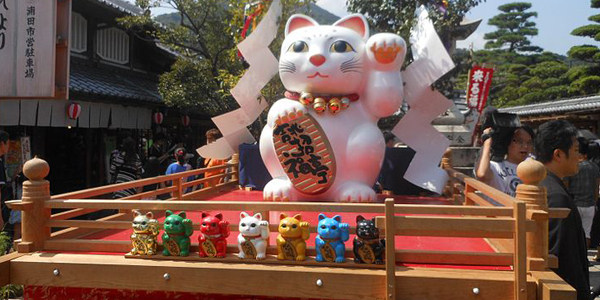 A cat festival happens there. People dress up as cats. They paint their faces, wear masks, and put on cat ears. They parade through the streets. (P2) A Japanese designer organizes this festival. The festival celebrates three things: Halloween, autumn, and cats. The festival is a hit. People look very good. (P3) The Japanese love cats. They have cat cafes and Hello Kitty. People love homeless cats, too. Do you like cats? Why or why not? Does your country celebrate Halloween? Are there festivals in your country? If yes, tell me about one? Which city is the festival in? What are the 3 things people celebrate? Which animal do the Japanese love?